Not every radiology procedure or service has a dedicated CPT code to describe it. Under such circumstances, often the best choice is to claim an "unlisted procedure or service" code. Submitting claims using unlisted procedure or service codes is more likely to generate payment denials. To avoid these denials (or to fight them, on appeal), it helps to know any payer's specific requirements (eg, some payers designate forms specifically for review of special reports when unlisted services or procedures have been rendered) and to gather the appropriate documentation to support your claim. • 79999, Radiopharmaceutical therapy, unlisted procedure. When considering an unlisted procedure or service code, be sure to determine if the claim might be better represented using a specific procedure or service code with a modifier appended, or by reporting a CPT Category III code. For instance, if CPT provides a code that properly describes the service, but the provider documents significant additional time or effort to complete the service, you may append modifier 22, Unusual procedural service to the appropriate radiology service code. Modifier 52, Reduced Service applies when the provider chooses to provide a reduced service. For example, if the provider plans to provide a "lesser" procedure or service, which no other CPT code better describes, modifier 52 applies. Similarly, you would call on modifier 52 if the provider electively cancels a procedure or service prior to completion. CPT Appendix A explains: "Under certain circumstances a service or procedure is partially reduced or eliminated at the physician's discretion. Under these circumstances the service provided can be identified by its usual procedure number and the addition of the modifier '52,' signifying that the service is reduced." Modifier 53, Discontinued service applies if the provider quits a procedure because the patient is at risk. In other words, the provider does not so much choose to discontinue the procedure as sound medical practice compels him or her to do so. Appendix A of CPT clarifies: "Due to extenuating circumstances or those that threaten the well being of the patient, it may be necessary to indicate that a surgical or diagnostic procedure was started but discontinued. This circumstance may be reported by adding the modifier '53' to the code reported by the physician for the discontinued procedure." Documentation should support the decision to append either modifier 52 or modifier 53. Category III CPT codes—which are found toward the rear of the CPT codebook, behind the Category I codes—describe emerging technologies and allow for data tracking. CPT guidelines require, "Use of unlisted codes does not offer the opportunity for the collection of specific data. If a Category III code is available, this code must be reported instead of the Category I unlisted code." For example, rather than report 77799 for skin surface application of high dose brachytherapy, you should report Category III code 394T, High dose rate electronic brachytherapy, skin surface application, per fraction, includes basic dosimetry, when performed. 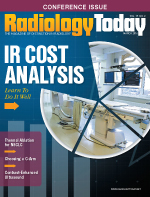 When submitting a claim for any radiology procedure or service—regardless of the CPT code chosen—be sure to have an imaging report available, as well as a proper physician order. The reporting provider's documentation will need to be especially thorough when claiming an unlisted procedure or service. As much as possible, the provider should describe the service in simple, straightforward language: What was done, and why? You might highlight areas of the documentation that are relative to the service. Where helpful, the provider might supply diagrams, photographs, copies of articles in medical journals, or other resources to help the payer understand what the service entailed, and why it was medically reasonable and necessary. One effective method to describe an unlisted service is to compare it with a similar service with a dedicated CPT code. Note the ways in which the unlisted procedure is similar to, and differs from, your reference code. For example: How much work is involved in the unlisted service vs the comparison code? Did it take longer to complete? If so, by how much? Develop a payment recommendation based on this comparison. This helps the payer establish a relative value for the particular unlisted service being claimed. If you receive payer denials for unlisted procedure or service codes, investigate to find out exactly what the payer requires to process the claim. Follow your payer's requirements to the letter to make sure that your provider is appropriately reimbursed. The bottom line: Reporting an unlisted procedure or service code requires special effort, but correct coding requires that you use a code that most accurately represents the service performed.